Panoramic sit down jaw dropping unobstructed white water ocean views from this striking almost new custom Craftsman Beach Bungalow. Enjoy everything the Cardiff Walking District has to offer: Fabulous beaches, shops, cafes, and the famous Seaside Market! Exceptional location w/under-grounded power lines! High end custom finishes throughout & central air. Drink in the outdoors from two view decks. Easy garage back alley access & driveway parking. Wide plank modern wood flooring. See supplement for more., Gently lived in by the original part-time owner. Ocean views from most rooms in the home! Almost new custom Craftsman with wide plank modern wood flooring. Three full bedrooms , 3.5 Baths. Master bedroom features a balcony, walk-in closet, master bath with soaking tub, walk in shower, quartz countertops, double sinks. Large inside laundry room. Ground level family room area with full bath and secondary bedroom/office area. The third bedroom has an on-suite bath (great for guest room). Rooms are flooded with natural light, and most have striking views. Enjoy a gourmet kitchen (also with pano ocean views), gas cooktop, quartz countertops, pantry, and stainless appliances. 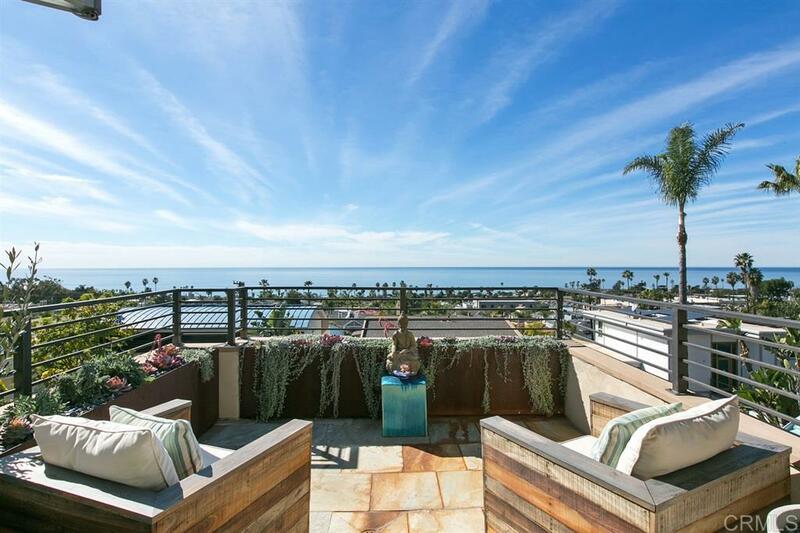 You will relish the peaceful sunsets and ocean surf breaks from the living room deck. Living in Cardiff doesn't get any better than this! Come by today and take a look at this gorgeous turnkey home!